Pu-erh tea originated in Yunnan Province in Imperial China and has long been consumed as on of the most popular beverages in Asia. It is widely popular as a medicinal drink that treats various illnesses like the common cold and poor digestion. Its beneficial properties include the bioactive components theobromin, theaflavins, and complex polysaccharides which are known antioxidants. 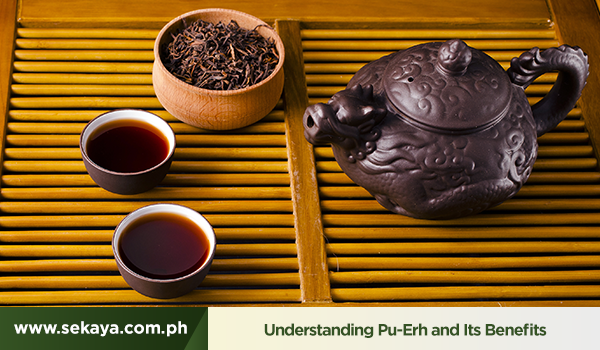 Pu-erh also includes flavoids that aid in the digestion of meals making it accelerate the process of fat burning. Over time, the food we consume which contain acids and toxins can build up in our body. These toxins then get transferred to the blood. If left unfiltered, it can lead to liver failure and other fatal diseases. As mentioned, pu-erh contains microorganisms thanks to its unique fermentation process. These microorganisms get rid of the toxins in our blood, resulting in a healthier and cleaner body. There is a high concentration of antioxidant and anti-inflammatory properties found in pu-erh. These act as natural phyto-chemicals that decreases the risk of diseases because of its ability to get rid of the free radicals in the body. This is thankfully due to its unique fermentation process. While pu-erh tea does help your body of rid of fat, it is important to remember that it is not a miracle cure. Losing weight requires more than just drinking tea; exercise or any regular physical activity is still the key factor in weight reduction. Don’t expect results right away, but expect higher energy levels and overall well-being. It is recommended to take pu-erh an hour after each meal to decrease retained fat from your meals. Small amounts of lovastatin can also be found in the microbial aging of pu-erh. Lovastin is a natural statin; in its synthetic form, it commonly used to treat high levels of cholesterol. The long term use of pu-erh can potentially decrease LDL cholesterol (low-density lipoprotein, which is the bad kind) and increase HDL cholesterol (high-density lipoprotein, the good kind), according to studies. Try Sekaya Botanic Infusion’s Pu-erh Trim now for a healthier and better you.